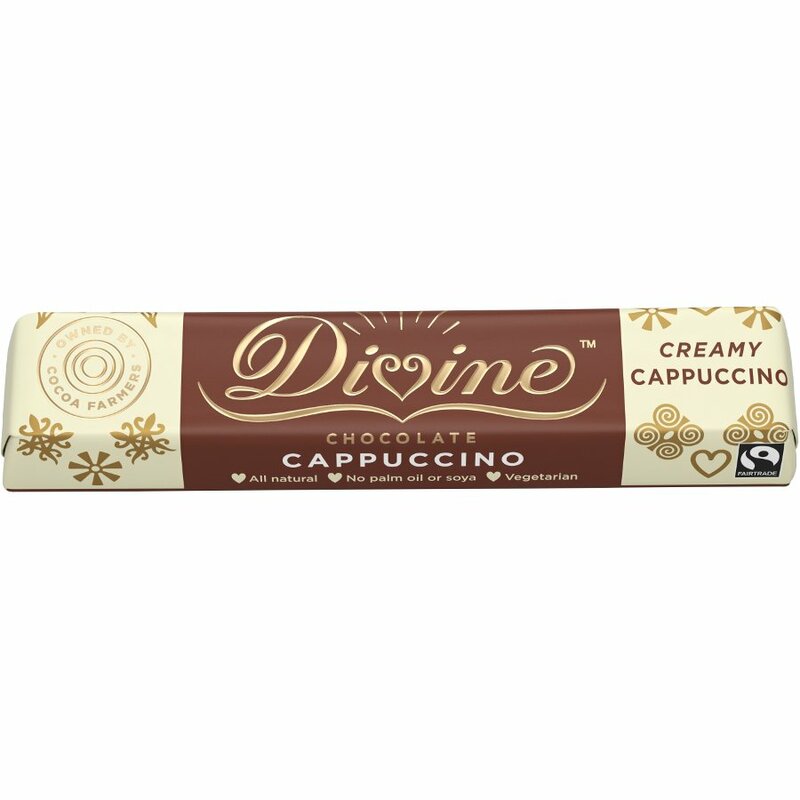 A luxuriously flavoured Fairtrade certified chocolate bar from Divine, with a smooth milk chocolate layer on the bottom, and a creamy white top layer, flavoured with madagascan vanilla. The delicious chocolate bar contains Fairtrade coffee pieces, sourced from growers in Machu Picchu, Peru, for an intense flavour hit. Palm oil free and suitable for vegetarians. Sugar, Cocoa Butter, Skimmed Milk Powder, Dried Cream (Milk), Cocoa Mass, Whole Milk Powder, Butterfat (Milk), Freeze Dried Instand Coffee 2%, Emulsifier: Sunflower Lecithin, Vanilla. Milk Solids: 24%. Cocoa Solids: 26% minimum in Milk Chocolate, 25% minimum in White Chocolate. For allergens see ingredients in bold. May contain soya, nuts & gluten. There are currently no questions to display about Divine Milk & White Chocolate Cappuccino Small Bar.